The natural beauty of Bangalore has been the talk of the town since 1784 AD when Tipu Sultan’s Summer Palace had come up in the location where the current city of Bangalore stands now. There has been evidence of human civilization in present-day Bangalore dating from as far back as 4000 BCE and the discovery of ancient coins here of long-gone Roman emperors suggests that Bangalore was involved in trans-oceanic trade with ancient civilizations from as far back as 27 BCE. Bangalore was also the seat of successive rulers with a history of numerous wars having been waged here. Fortunately the present day Bangalore is nothing like the years of yore and has evolved into a peaceful metropolitan city where people from many parts of India and abroad co-habit together in peace and harmony. Bangalore is currently known as the IT hub of India as it is the biggest exporter of information technology. People from all over India and some foreign countries too, are forever trickling into the city for work, making Bangalore the third most populous city in the country. These apartments have been designed to use to make the best use of natural lighting and leave a very minimal carbon foot print. They are ideal for anyone looking for premium leisure and lifestyle experiences. 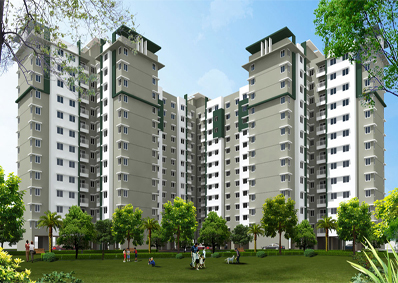 These are 2 and 3 BHK homes, close to multispecialty hospitals, schools and colleges. 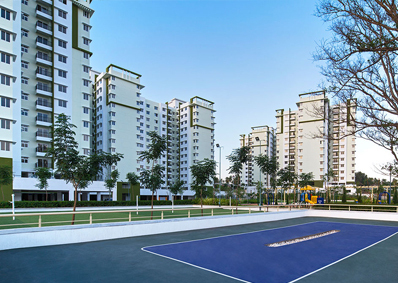 They are great options if you are looking in Bangalore's fast developing neighborhoods. With such a huge burgeoning population in the city, real estate companies are working full-time to construct more and more homes to accommodate its inhabitants. The city is the second fastest growing city in the country with a population of over 8.5 million and still counting…. There is only one problem that Bangaloreans face, and it’s their demand for premium homes, they refuse to settle for anything less than luxury at every level! Big-time builders like Provident Homes have made it their mantra to provide quality homes with luxurious fittings and finishing that would keep even the most discerning of customers happy. The apartment complexes found around Mysore road, especially around NICE junction, have one thing in common. They are all located in a posh area that spells luxury as well as serenity in the same breath. Even though this is one of the less crowded areas, it is well connected to the rest of the city both by road as well as the metro; there are a lot of bus stops serving this area too. The presence of large water bodies, nearby rivers as well as a lot of greenery makes this area a beautiful place to stay in. Couple this natures gift with well-designed spacious homes and world-class amenities, and what you are left with is a homely paradise! © Copyright 2017 Puravankara Ltd.